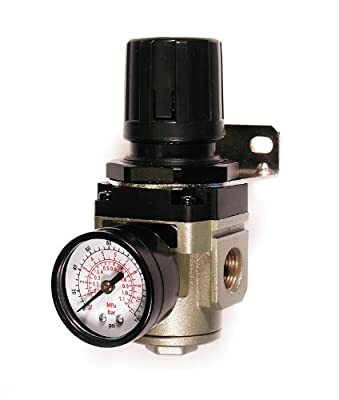 The Prime fit R3802G Intermediate Air Regulator is designed for use with any compressor, air tank or air system to precisely regulate and maintain constant air pressure to your tools and equipment. The locking regulator knob regulates and maintains pressure between 0 to 145-PSI (pounds per square inch). This air regulator's locking composite knob and steel protected gauge are designed to withstand abuse. The F3802G is made for larger systems where regulation is required without significant pressure or CFM drop and provides 80-SCFM at 100-PSI. A mounting bracket is included with this air regulator. 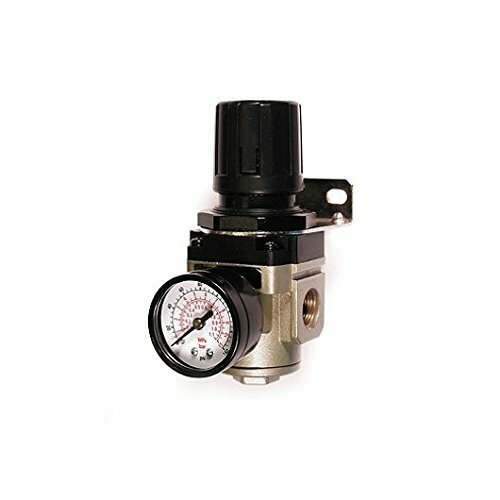 The Prime fit R3802G Intermediate Air Regulator comes with a 1-year limited warranty. Prime fit Inc. and its affiliated companies have been one of the leading global manufacturers of Pneumatic Tools, Air Accessories and Air Hoses since 1976. Prime fit produces a broad range of industry leading products serving the Consumer, Automotive, Commercial and Jobsite pneumatic markets.